You might know famed Szechuan chef Peter Chang for his scallion bubble pancakes—though they’re really the creation of wife/pastry chef Lisa Chang. The matriarchs of the family are getting the spotlight at the newest restaurant in the Chang empire, which opens in Fairfax City on March 8. Look for home-style Hunan, Hubei, and Szechuan specialties like sesame shaobing (flaky pastries topped with sesame seeds), pork rib soup, and duck spring rolls. The Pembroke off Dupont Circle. Photo by Rey Lopez. 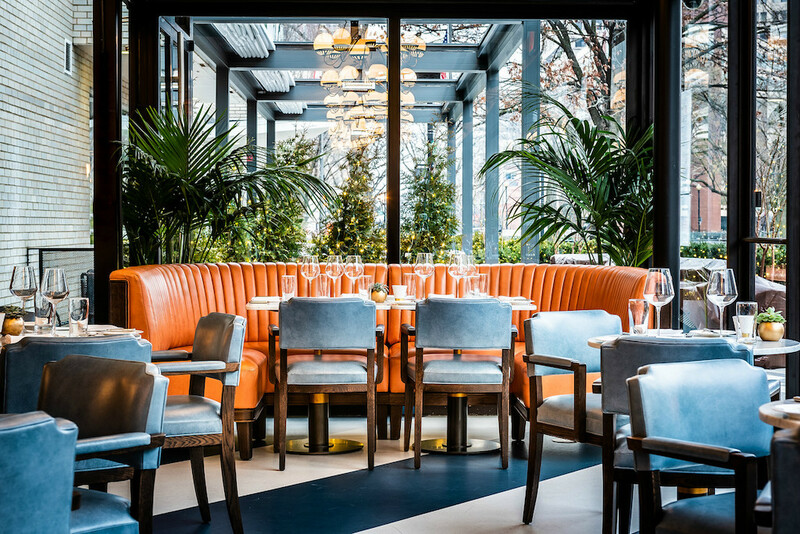 The new hotel bar/restaurant in the former Cafe Dupont space is a looker with its airy, glass-enclosed rooms and 78-seat terrace. Veteran chef Marlon Rambaran, who formerly helmed Scarpetta Miami and was a sous chef at Philadelphia’s Le Bec Fin, runs the kitchen. Dishes mostly take influence from the western Mediterranean (lamb shank tagine, dove sole meunière) with a few offerings from the hotel group’s native Ireland. The first-floor cocktail bar at Zeppelin in Shaw. Photo by Jeff Elkins. Shaw’s new spot for Japanophiles has a lot going on: sushi, yakitori, 80-plus sakes, Japanese cocktails, late-night karaoke, and luxe omakase menus—all from the team behind nearby Chaplin’s and chef Minoru Ogawa (Sushi Ogawa, Mandarin Oriental). It unfolds in the two-story row home (plus a big patio) that once housed The Shaw Bijou. Hank’s Cocktail Bar opens in Dupont with a savory and sweet lineup of drinks. 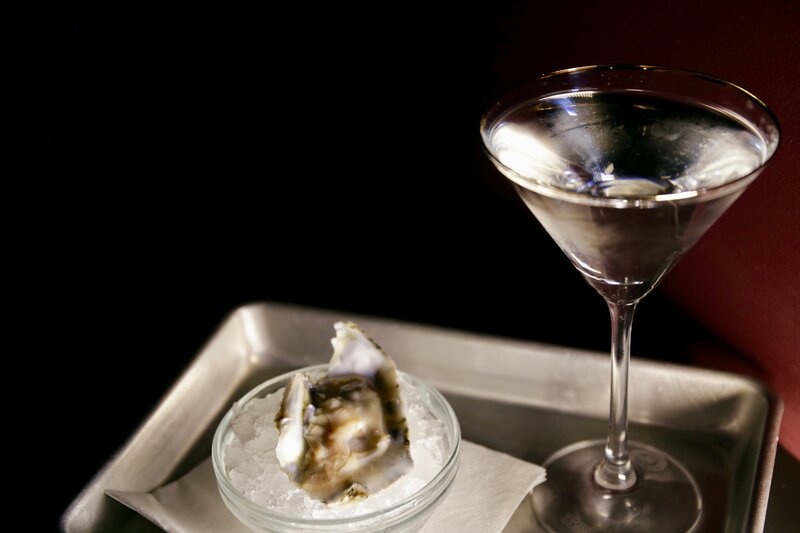 Pictured: an oyster-infused riff on a gin martini. Photo by Evy Mages. The festive spring bar from Drink Company is back—this year with a trippy ramen room where you can eat ramen surrounded by faux ramen noodles (the former comes courtesy of Uzu). 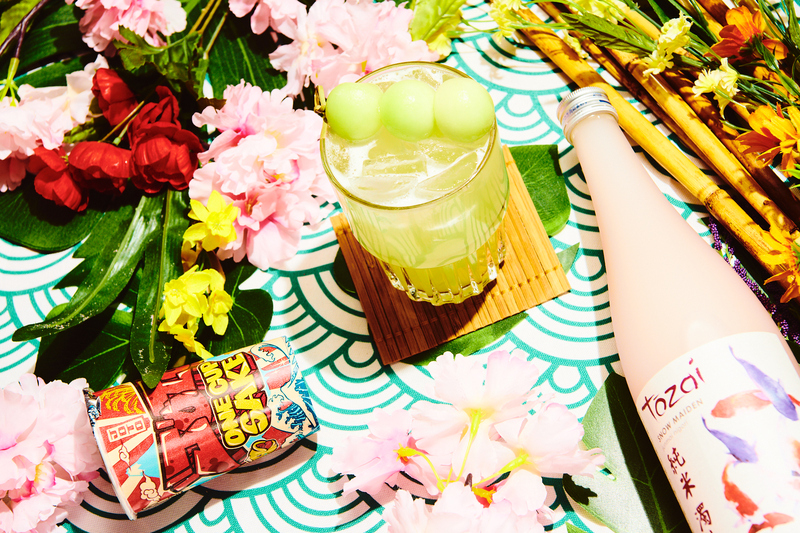 You’ll also find new Japanese-inspired cocktails, a photo booth, and more than 100,000 cherry blossoms canopying two bars. Cocktails, fried chicken, and oysters are focus of this new bar/restaurant in the Atlantic Plumbing building (previously Tasty Burger). The casual place is already open late with a night owl happy hour. 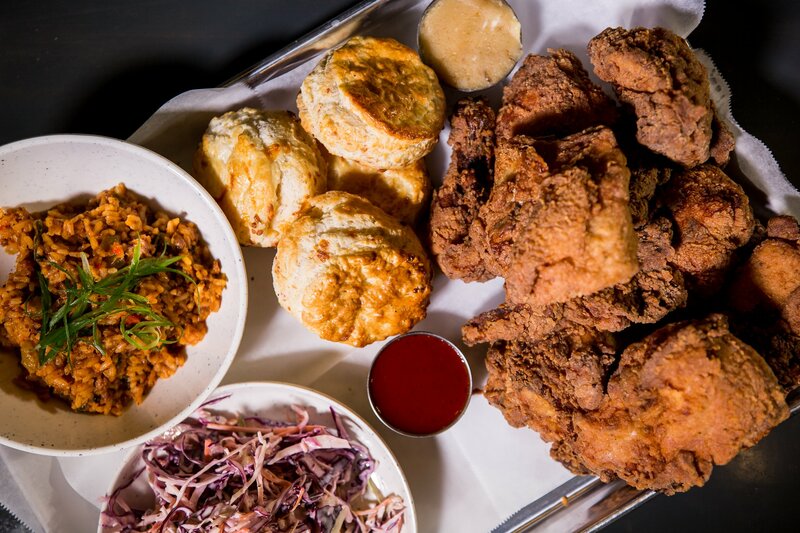 Co-owner Scott Parker (Don Tito, Barley Mac) plans to soon serve hot fried chicken, ice cream tacos, and other eats through a to-go window until 5 AM on weekends. 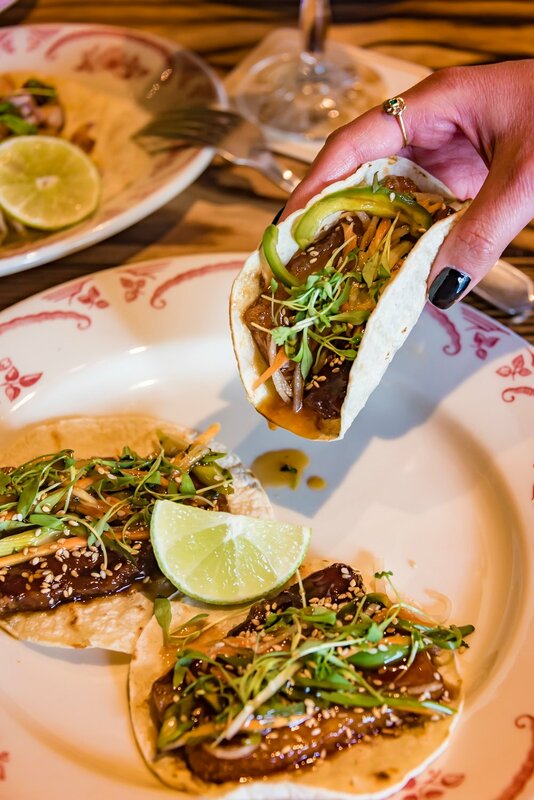 El Bebe’s pork belly taco is inspired by the flavors of a banh-mi sandwich. Photo by Lauren Bulbin. Metropolitan Hospitality Group just launched a massive 3,300-square-foot restaurant space near Nationals Park—one part Circa, their American bistro mini-chain, and the other Él Bebe. The new Mexican concept features a global variety of tacos, a big tequila bar, and weekday happy hour throughout the entire indoor/outdoor space. The Lapis owners revamp cafe and cocktail bar Lapop in Adams Morgan. Photo by Joy Asico. 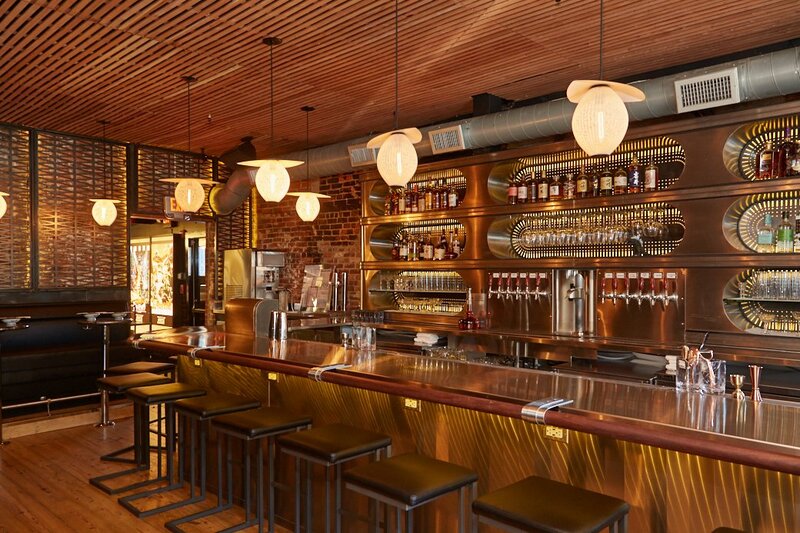 Adams Morgan’s subterranean coffee bar recently got a boozy remake from the Popal family (“lapop” backwards), who also run Lapis next door at The Berliner in Georgetown. 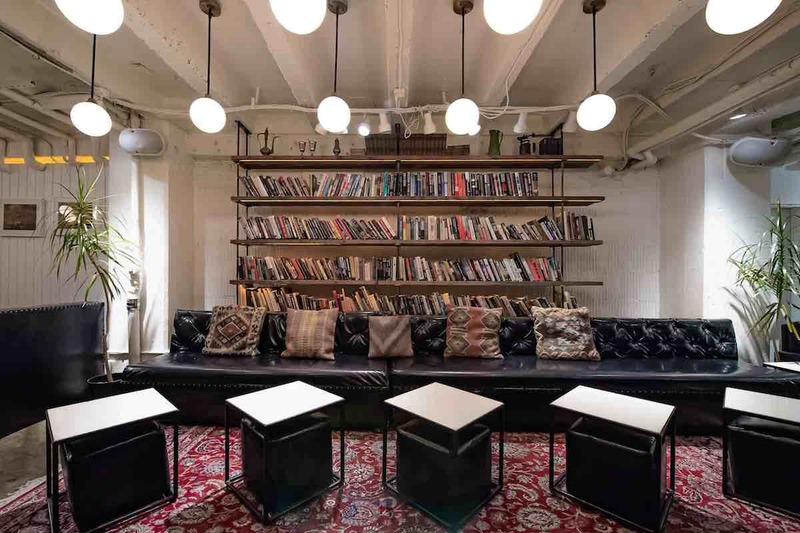 The theme nods to 19th-century Parisian and Viennese cafes with literary cocktails, a stocked bookshelf, and bites like lamb meatballs with yogurt and herbs. It’s also open for weekday lunch from 11 AM to 3 PM and serves Lapis’ brunch menu on weekends.